------------------------------------------------------------------------------------------------------------------------------------------- All Delphi Air Conditioning Condensers, Blower Motors, Heater Cores, and Radiators can only be returned within 14 days of receiving for a refund, if uninstalled. Buyers are responsible for the freight charges both ways. All returns must be in the original Manufactures box with a copy of the original receipt. There could be up to 20% restocking fee on all returned Parts. 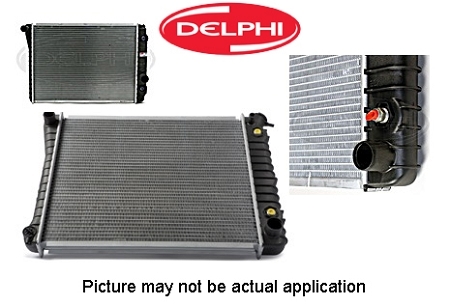 There is NO warranty on Delphi AC Condensers, Blower Motors, Heater Cores, or Radiator Product Lines. Delphi has DISCONTINUED producing these products.